I am sure everyone’s wardrobe has a black top and black pants/slack. 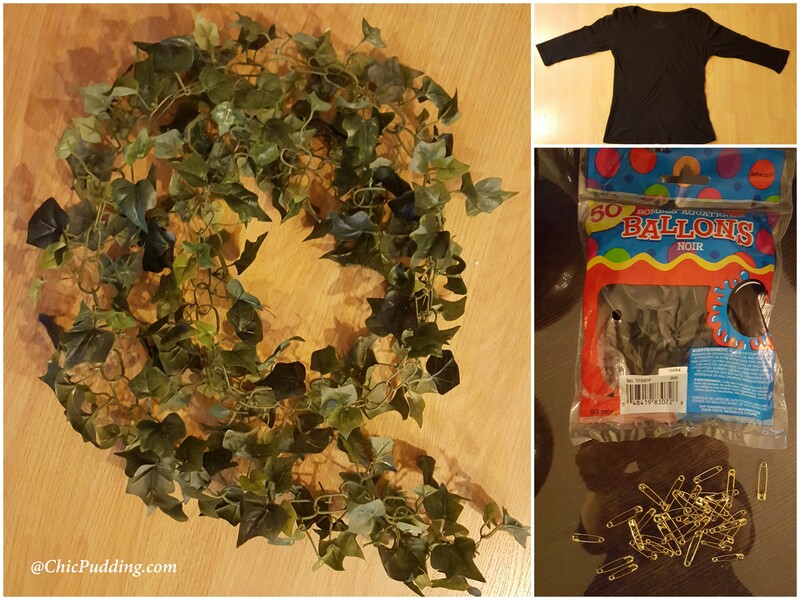 If you have those you can create a variety of costumes! – Thief, Italian Mafia, Surfer and Grapes. You may only need to buy some super cheap masks. Blow the balloons, use a safety pin to pierce through the head of the balloon above the knot. 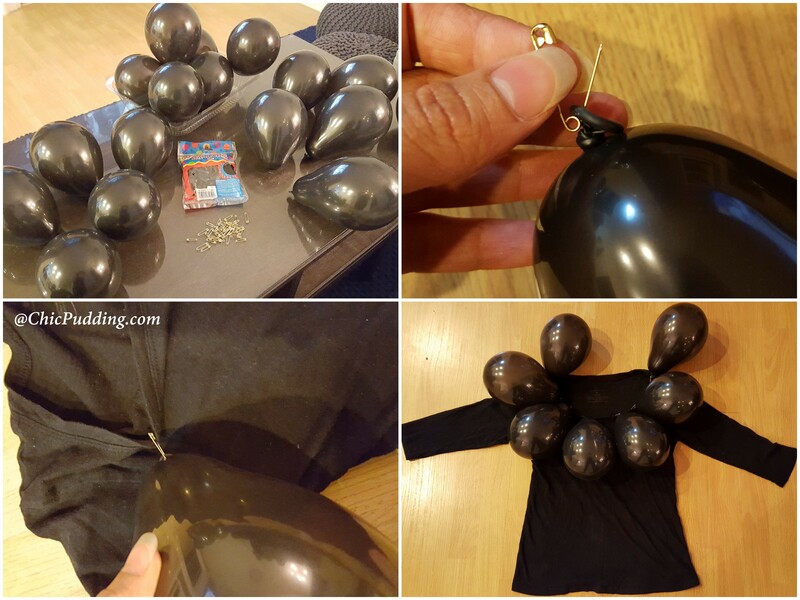 Pin the balloon to your black top. Start from the top. Pin more balloons on the top and go on reducing the number of balloons as you move down. 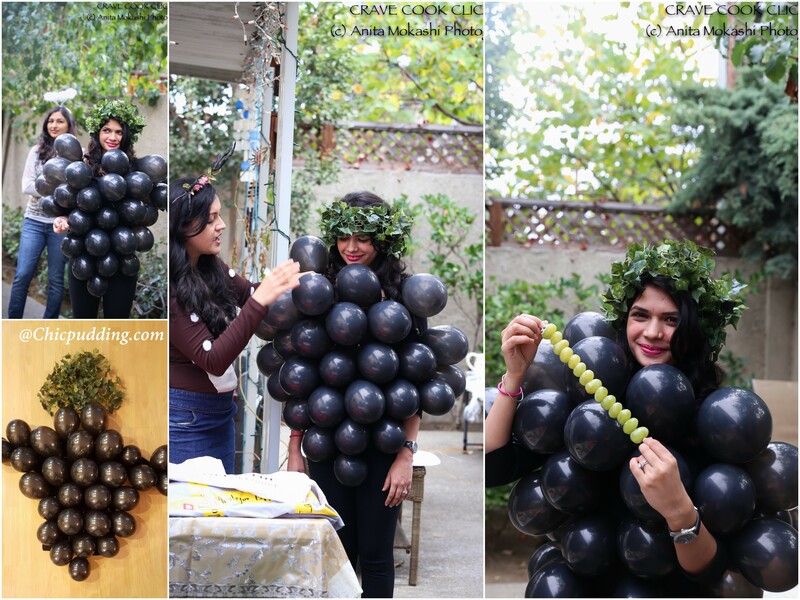 This will create a grape bunch shape. Wrap the garland on your head like a crown! 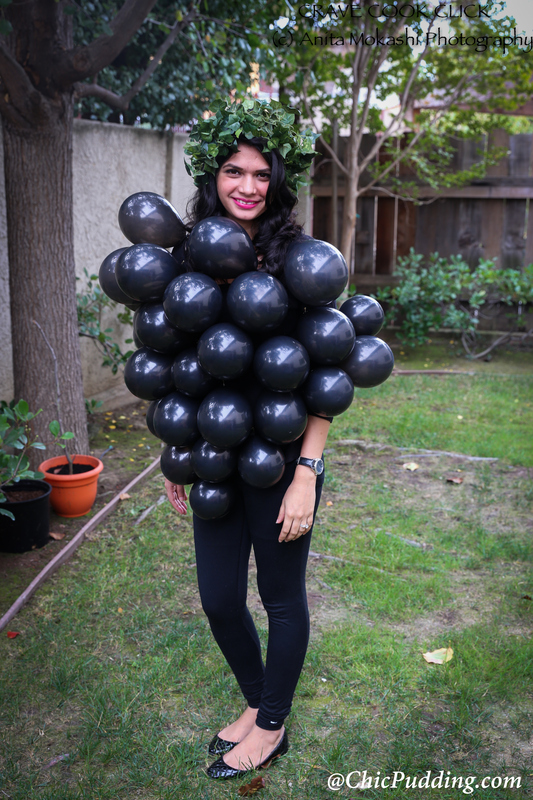 🙂 You are a cute grape bunch. This is a very cool idea for kids. 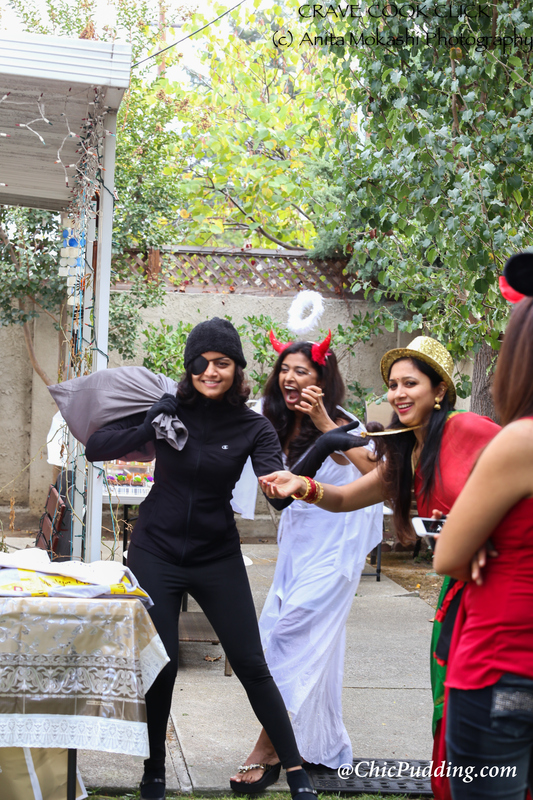 Become a Thief, Bat-woman or Italian Mafia by just wearing black and black! For a thief’s bag, use any pillow case you have at home and dump some papers or smaller pillows in them. Cut out $ sign from a paper or take a printout and stick on it. Thief is ready to steal gold chains..